More frequent and more severe natural disasters pose an increasing threat to communities across the nation, but a majority of experts do not support mandatory or government-sponsored insurance in high-risk areas. 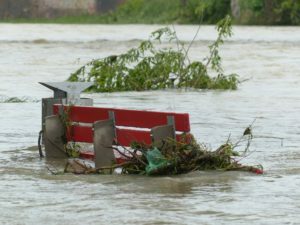 As Congress grapples with this challenge, attempting to determine the future of the National Flood Insurance Program , Zillow conducted its own survey  on how the government should respond to the threat natural disasters pose to homes across the nation. Fewer than one-fifth of the 100 real estate experts and economists surveyed agree that the government should subsidize or sponsor property-loss insurance, and fewer than half say the government should require such insurance in areas at high risk of natural disaster. Sixty-eight percent of experts said the government should not subsidize or underwrite property-loss insurance. Instead, experts favor “preemptive measures,” according to Zillow. For example, experts tended to support stricter building codes with “state-of-the-art resilience standards” as well as full construction moratoriums in high-risk areas. Some also favor infrastructure investments, such as seawalls or jetties. Also, close to half, about 47 percent, of experts agreed that homeowners who cannot obtain or afford insurance should relocate to lower-risk, more affordable areas. Zillow sponsored the survey as part of its Zillow Home Price Expectations Survey, which is conducted by Pulsenomics. In terms of home prices, experts predict home price appreciation of 4.3 percent in the next year, as of the first quarter, which is up from a prediction of 3.8 percent in the previous quarter. The increase could be the result of sliding mortgage rates, according to Terry Loebs, Founder of Pulsenomics. In fact, at the high end, one group of experts predicted 28.3 percent price growth, while the group predicting the lowest price appreciation predict just 6.6 percent appreciation.